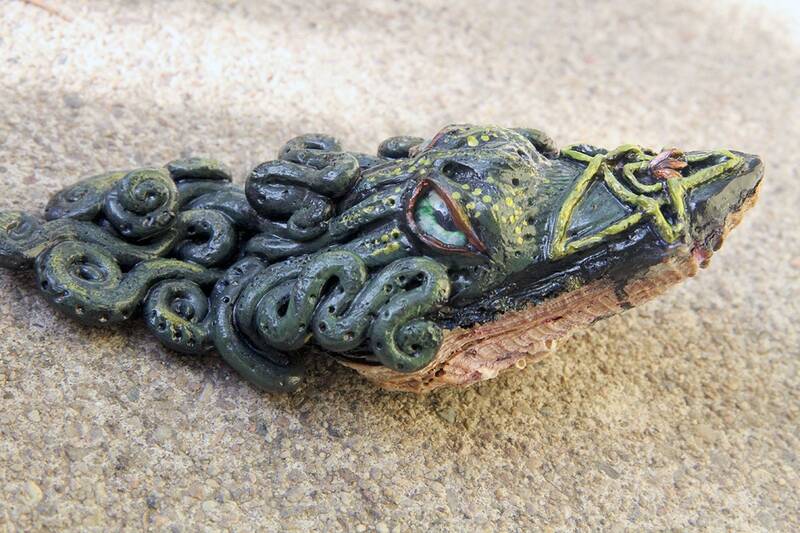 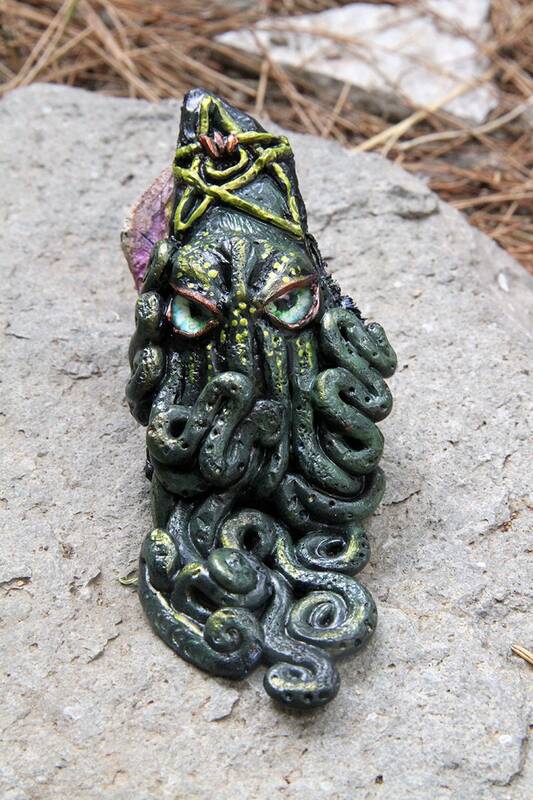 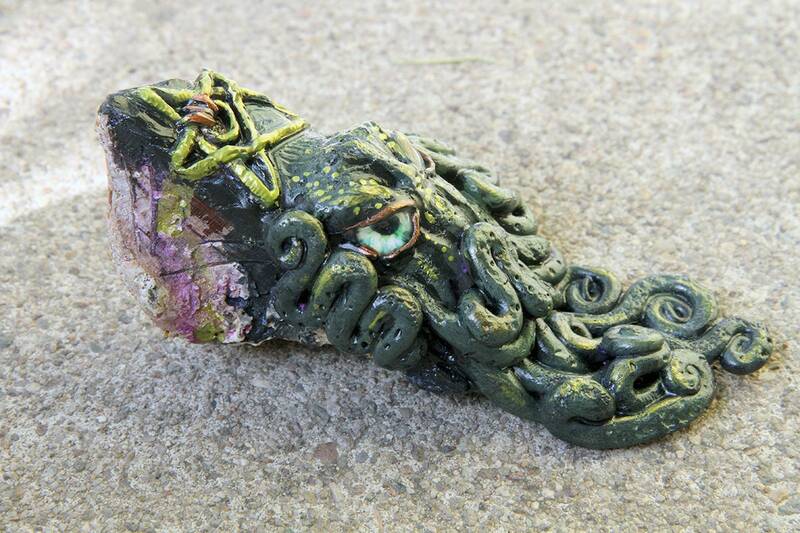 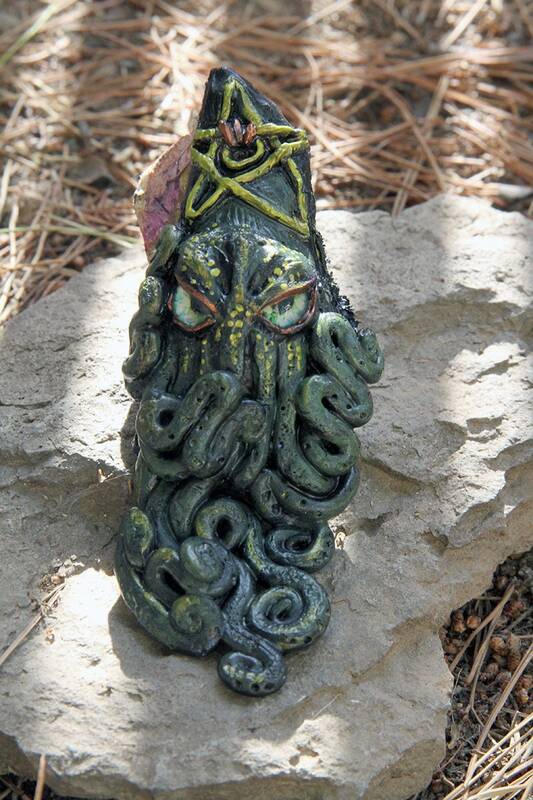 This is a 1 of 1, hand sculpted Polymer Clay Cthulhu creature. 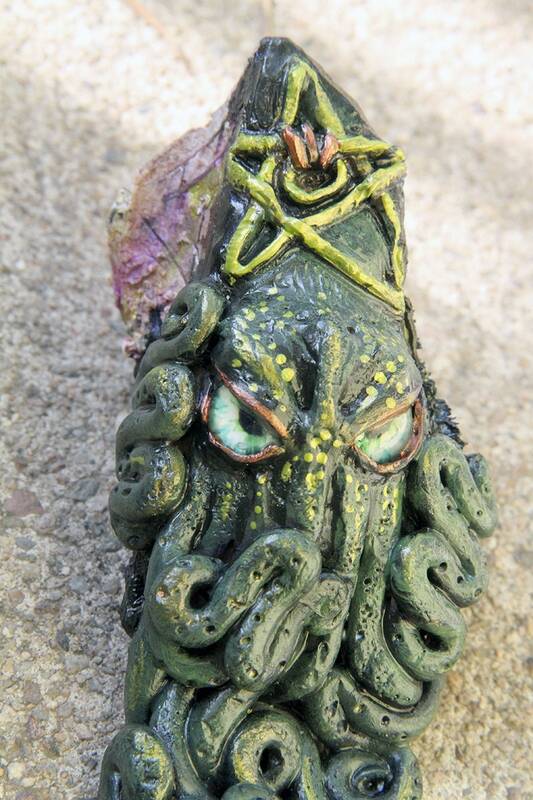 I used a real seashell and sculpted Cthulhu emerging from it. 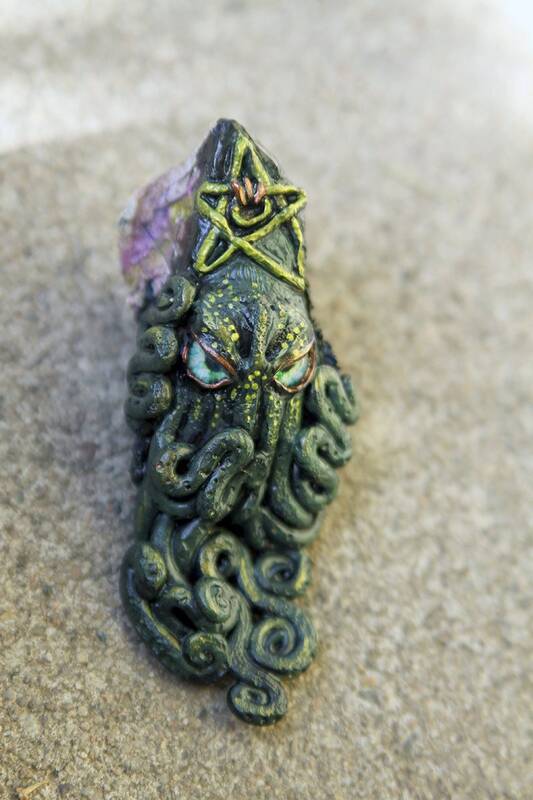 Features the Elder God Sign.